Based on Hans Christian Andersen's "The Wild Swans,” this enchanting fantasy by Diane Zahler, author of The Thirteenth Princess and A True Princess , is a tale of family, bravery . . . and a terrible spell. Princess Meriel's brothers have been cursed. An evil enchantment cast by their conniving new stepmother has transformed the handsome princes into swans. They now swim forlornly on a beautiful heart-shaped lake that lies just beyond the castle walls. 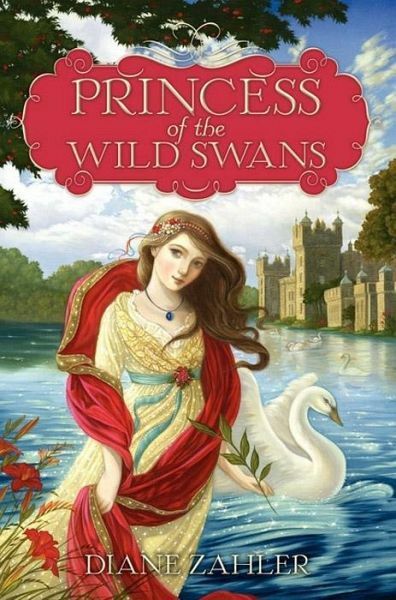 Based on Hans Christian Andersen's "The Wild Swans,” this enchanting fantasy by Diane Zahler, author of The Thirteenth Princess and A True Princess, is a tale of family, bravery . . . and a terrible spell. With help from her newfound friends Riona and Liam—a beautiful half-witch and her clever brother—Meriel vows to finish a seemingly impossible task. If she completes it, her brothers may be saved. But if she fails . . . all will be lost.